Learning how to project a confident body language is very beneficial in more ways than one. 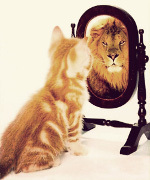 When you are perceived as confident, people react accordingly. They trust decisions, they get behind your actions and they believe what you have to say. Confidence is mesmerizing. That’s why it’s almost always the confident person who gets the job, makes the sale and succeeds in life.